Tips on being a good neighbor: donate unwanted clothes, use our Auto Auction to buy or donate your vehicle, shop our thrift store, and sign up to volunteer! 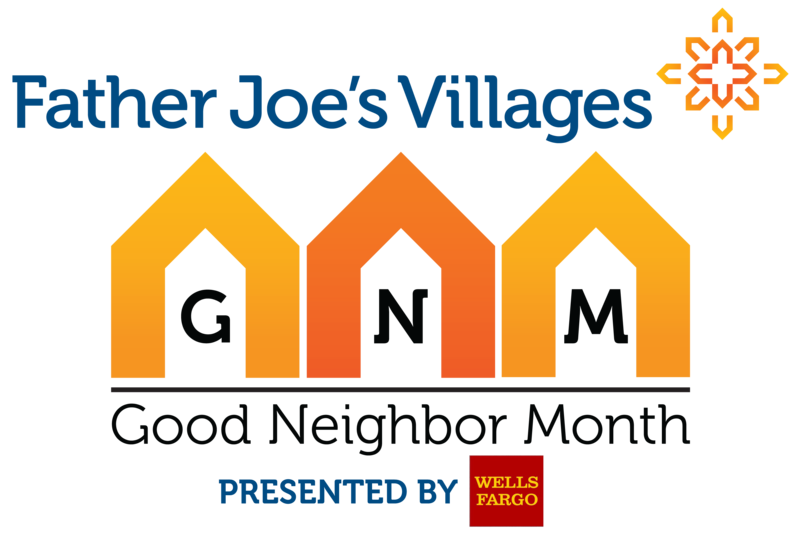 Wondering about easy ways to participate in Good Neighbor Month and help your neighbors in need? It’s simple! Here are just 10 easy things you can do to be a Good Neighbor and help us end homelessness, one life at a time. We live in a famously sunny town so many may not realize that, even on a summer night, it can get pretty cold sleeping on the streets. Why not rid your closet of those items that are only taking up space by donating your unwanted clothes to Father Joe’s Villages? Donate at any of our retail stores today. Everybody likes to be liked! Let us and your friends know you support our mission to end homelessness and help the working poor. “Like” Father Joe’s Villages on Facebook. In the market for a new car? Check out our Auto Auction and get your new wheels from us. Have a car too many? Why not auction your car to benefit your neighbors in need? Want to help us prep some of the over 3,000 meals we provide daily? Sign up to volunteer in one of our kitchens. In the market for some new threads? Get all your new gear at our thrift stores! Become a donor! Start small. Even a gift of $25 a month makes a huge difference to someone living at The Village. It could be just the help they need to get back on their feet. Shop online? You can benefit a great cause and get your shopping done by shopping at smile.amazon.com and selecting St. Vincent de Paul Village, Inc. as your nonprofit. A portion of your purchase will go to helping neighbors in need at no extra cost to you. Moving soon? Let us help make it easier by donating some of that lightly used furniture at our warehouse. Brush up on your Father Joe’s history by reading one blog article a day and sharing what you have learned with friends, colleagues, family and others. Share your experience of being a Good Neighbor with others and encourage them to get neighborly, too!